 Ce livre est parfaitement mis en page pour une lecture sur Kobo. 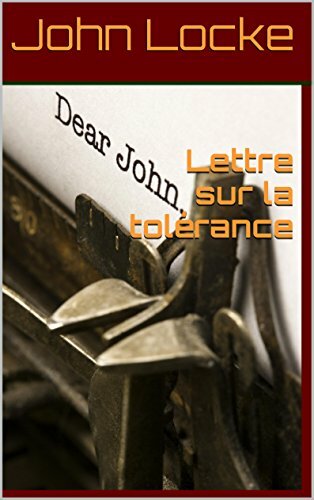 La Lettre sur la tolérance est un essai du philosophe anglais John Locke. Cette « lettre » est adressée à un « monsieur », en fait l'ami proche de John Locke, Philipp van Limborch, qui la publia sans son autorisation. Locke y défend un nouveau rapport entre religion et gouvernement. Un des fondateurs de l'empirisme, Locke développe une philosophie contraire à celle exprimée par Thomas Hobbes dans son livre Leviathan, en particulier car il défend la tolérance religieuse pour certaines confessions chrétiennes. Sa lettre fut publiée dans un contexte où règne la peur que le catholicisme puisse s'imposer en Angleterre; la tolérance est la réponse que Locke propose au problème religieux. 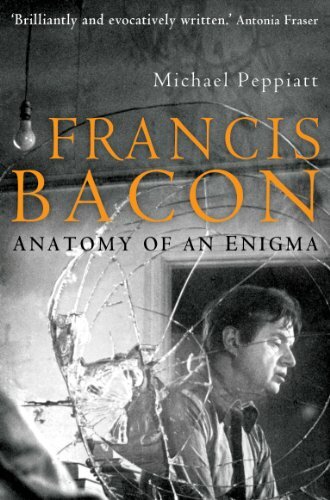 Francis Bacon was one of the most powerful and enigmatic creative geniuses of the twentieth century. Immediately recognizable, his paintings continue to challenge interpretations and provoke controversy. Bacon was also an extraordinary personality. Generous but cruel, forthright yet manipulative, ebullient but in despair: He was the sum of his contradictions. This life, lived at extremes, was filled with achievement and triumph, misfortune and personal tragedy. In his revised and updated edition of an already brilliant biography, Michael Peppiatt has drawn on fresh material that has become available in the sixteen years since the artist’s death. Most important, he includes confidential material given to him by Bacon but omitted from the first edition. derives from the hundreds of occasions Bacon and Peppiatt sat conversing, often late into the night, over many years, and particularly when Bacon was working in Paris. We are also given insight into Bacon’s intimate relationships, . . . The inimitable Nancy Mitford's account of Voltaire's sixteen-­year affair with the comely Marquise du Ch&acirc;­telet--­in her own right a renowned mathematician and original expositor of Newtonian ideas--­is a spirited romp in the company of two extraordinary individuals as well as an erudite and gossipy guide to French high society during the Enlightenment. How to get along with people, how to deal with violence, how to adjust to losing someone you love—such questions arise in most people’s lives. They are all versions of a bigger question: how do you live? How do you do the good or honorable thing, while flourishing and feeling happy? This question obsessed Renaissance writers, none more than Michel Eyquem de Monatigne, perhaps the first truly modern individual. A nobleman, public official and wine-­grower, he wrote free-­roaming explorations of his thought and experience, unlike anything written before. He called them “essays,­” meaning “attempts” or “tries.­” Into them, he put whatever was in his head: his tastes in wine and food, his childhood memories, the way his dog’s ears twitched when it was dreaming, as well as the appalling events of the religious civil wars raging around him. The Essays was an instant bestseller and, over four hundred years later, Montaigne’s honesty and charm still draw people to him. Readers come in search . . . Analysis of Henri Bergson's philosophy, first published in 1912. According to Wikipedia: "Henri-­Louis Bergson (French pronunciation: [bɛʁksɔn] 18 October 18594 January 1941) was a major French philosopher, influential especially in the first half of the 20th century. Bergson convinced many thinkers that immediate experience and intuition are more significant than rationalism and science for understanding reality.­He was awarded the 1927 Nobel Prize in Literature "in recognition of his rich and vitalizing ideas and the brilliant skill with which they have been presented".­"
First published in 1961, is a collection of Bertrand Russell’s essays that reflect on the books and writings that influenced his life, including fiction, essays on politics and education, divertissements and parables. Also broaching on the highly controversial issues of war and peace, it is in this classic collection that Russell states some of his most famous pronouncements on nuclear warfare and international relations. It is a remarkable book that provides valuable insight into the range of interests and depth of convictions of one of the world’s greatest philosophers. A personal and theoretical look at “Liber Primus,­” the first of the collection of books written by psychologist Carl Jung that were collectively entitled “The Red Book.­” Unpublished until October of 2009, “The Red Book” is considered by many, including Jung himself, to be the foundation of all of Jung’s groundbreaking theories and writings to follow. This is an essay detailing meanings behind the first half of that book. Voltaire (* 21. November 1694 in Paris; † 30. Mai 1778 ebenda; eigentlich François Marie Arouet war einer der einflussreichsten Autoren der französischen und europäischen Aufklärung. In Frankreich nennt man das 18. Jahrhundert deshalb auch „das Jahrhundert Voltaires“ (le siècle de Voltaire). Viele seiner Werke wurden mehr oder weniger umgehend in andere europäische Sprachen übertragen. 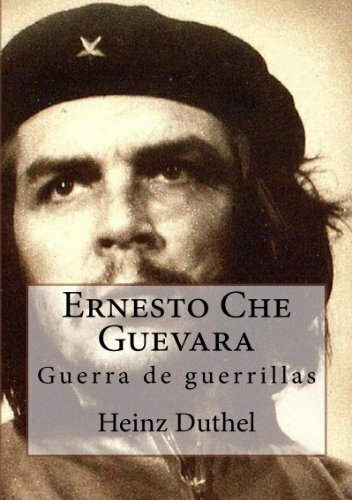 Mit der Kritik an den Missständen des Absolutismus und der Feudalherrschaft sowie am weltanschaulichen Monopol der katholischen Kirche war Voltaire einer der wichtigsten Wegbereiter der Französischen Revolution. Seine Waffen im Kampf für seine Vorstellungen waren ein präziser und allgemein verständlicher Stil sowie Sarkasmus und Ironie.